It’s been a few weeks since I had the time or the energy to write a blog. Sometimes life just takes over leaving little space for personal things. 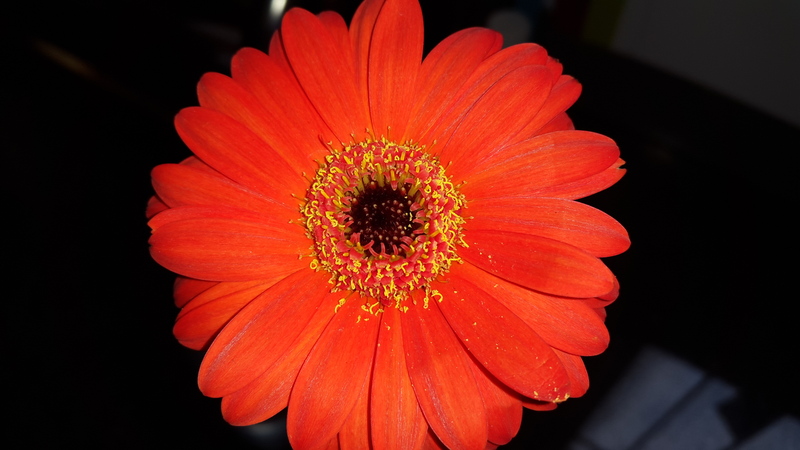 3 weeks ago at a function, my 7 year old son found a bright orange gerbera flower that had been discarded by the florist. Knowing that orange is my favourite colour, he presented it to me proudly and insisted I keep it. I duly forgot, enjoyed myself at the party and the following day as we were packing up to go home he found this same flower which by now had been out of water for well over 24 hours. Again he insisted I save it. So once back home I popped it in some water. 3 weeks later this flower is still beautiful. I have checked a few times that it isn’t in fact plastic! But this story of the flower’s absolute resilience once it was getting the water it needed made me think about us as people. We are all resilient -but who gives us our water? This month is world hospice and palliative care day and the theme ‘Achieving universal coverage of palliative care: Who cares? We do!’ But how do we keep caring if we don’t look after ourselves. Burnout, compassion fatigue and depression are all real risks to those caring for others. Not just health professionals but the parents we meet that care for chronically ill children; the husband of an elderly woman with dementia; the middle aged daughter caring for her mother who has had a stroke. Caring can be a 24:7 job for some. It makes me think of the mother Tania Clarence in the UK who has recently suffocated to death, 3 of her children that were suffering with a debilitating disease called spinal muscular atrophy. I am relieved that her depression has been recognised and that she will be treated for this rather that sentenced to prison for her crime. I have a number of friends having a very tough year. Life is busy; life is fast. Technology has only added to that burden. So think about it…..
How do you look after yourself? Who fills your love tank and how do you top up your water?